12 Great Natural Sources of Omega-3 - Something New Everyday! When we think about eating fats, our first thought is to reduce the amounts of fat we consume. There is, however, different kinds of fat, some of which are very beneficial to our health, Omega-3 in particular. This fatty acid is considered to be one of the most vital and nourishing substances for the human body, be it in children or adults. Since the human body is incapable of producing it, it’s doubly important. While most of us know of Omega-3 from advertisements for pills and additives, it’s actually available in many common foods. By eating these foods regularly, you’ll enjoy not only the Omega-3, but also various vitamins and minerals that are in these foods. Reducing the likeliness of heart disease – DHA reduces the levels of fats in the blood (triglycerides) and prevents it from lining the arterial walls. As a result, the chances of contracting heart diseases such as arteriosclerosis and heart attacks decrease considerably. In several studies conducted in the U.S. and Europe, it was found that regularly eating Omega-3-rich fish reduces the chances of developing heart diseases by 50%, as well as reduce the chances of a reoccurring episode. Helps in treating chronic and internal inflammations – Omega-3 has potent anti-inflammatory properties, so consuming it can help treat various inflammations, such as arthritis. It also aids the activity of anti-inflammatory drugs. Mood enhancement and reduction of depression symptoms – Omega-3 acids are natural antidepressants that help in mood enhancement, reduce symptoms of bipolar disorder and depression. Reduction of Attention Deficit Hyper Disorder (ADHD) – Children and adults dealing with ADHD should consume more Omega-3, as it helps improve your cognitive capacity in areas such as learning, memory, and focus. Treatment for Alzheimer’s and dementia – In the long-term, regular consumption of Omega-3 may serve to protect the brain from Alzheimer’s and dementia, and has restorative effects in cases of aging-related memory-loss. The recommended dosage of Omega-3 intake per day is 500 milligrams, with no research showing damage from higher intake. It can be acquired from both vegetables and meat, but not all three fatty acids comprising Omega-3 are available in each. In vegetables, only ALA is available, while you can find DHA and EPA in meat. ALA is different to the other two in its composition, prompting the body to convert it to EPA and DHA. Sadly, this process is not very efficient, so it is recommended to get your daily dose from a combination of meat and vegetable products. With its pink, buttery flesh, Salmon is considered one of the best sources of Omega-3, thanks to the high level of it in its meat. In addition, salmon is also rich in protein and amino acids, which are responsible for strengthening our immune system, as well as muscle buildup. 100g (0.220lb) of salmon contains no less than 26,000 milligrams of Omega-3. Another great source of Omega-3 is canned sardines in oil. These fish are also rich in Vitamin B12, which is vital for our cardiovascular and nervous system. 100g (0.220lb) of canned sardines contains 15,000 milligrams of Omega-3. Another great source of Omega-3 is tuna. Fresh or canned, this fish will provide you with a lot of these vital fatty acids. Additionally, tuna is rich in potassium, proteins, and selenium – a powerful anti-oxidant. 100g (0.220lb) of tuna contains 17,000 milligrams of Omega-3. The most prominent source of Omega-3 in nature, flax seeds contain 56% Omega-3 and are considered a miracle of nature. Their many benefits include aid in digestion, skin protection, and anti-cancerous properties. 100g (0.220lb) of flax seeds contains 56g (0.12lb) of Omega-3. Soybeans are rich in Omega 3, as well as whole proteins, iron, and calcium equal to those found in meat products. Soy also contains Vitamin E, B6, potassium, folic acid, and other minerals. 100g (0.220lb) of soybeans contains 6.8g (0.01lb) of Omega-3. Great in soups and stews, butternut squash is also rich in Omega-3, Vitamins A and C, as well as five kinds of Vitamin B (folic and pantothenic acids, B6, B3, and B1), as well as antioxidants called carotenoids. All of these make butternut highly recommended for diabetics and cancer patients. 100g (0.220lb) of butternut squash contains 664 milligrams of Omega-3. There’s a reason spinach gave Popeye such strength. Rich in Omega-3, flavonoids, and carotenoids, it also possesses anti-cancerous and anti-inflammatory properties. It is also rich in Vitamin K, which is vital for the health of our bones. 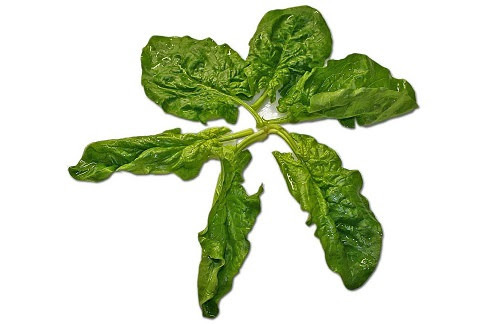 100g (0.220lb) of spinach contains 704 milligrams of Omega-3. You may be confusing wild rice with brown rice, but this unique grain not only contain Omega-3, it also contains Omega6. Wild rice also contains 30 times more antioxidants than white rice. 100g (0.220lb) of wild rice contains 95 milligrams of Omega-3. Bell peppers contain not only a healthy amount of Omega-3, but also Vitamin C, B6, A, and magnesium. 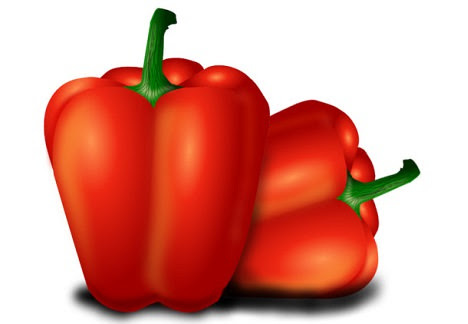 100g (0.220lb) of bell peppers contains 775 milligrams of Omega-3. Other than Omega-3, sprouts also contain many antioxidants, such as Vitamins C and A. It also has anti-cancerous and anti-inflammatory benefits. 100g (0.220lb) of sprouts contains 270 milligrams of Omega-3. Highly rich in Omega-3, walnuts also aid in reducing “bad cholesterol” (LOL) levels in our system. It’s recommended to eat it fresh from the shell, or at least with the skin, which contains over 90% of all the nutrients. Walnuts are also brimming with Vitamin E, magnesium, phosphorous and manganese. 100g (0.220lb) of walnuts contains 9,080 milligrams of Omega-3. Like flax seeds, chia seeds are also a part of the superfood family, thanks to their many health benefits, including their large amount of Omega-3. Chia seeds contain more calcium than milk, more potassium than bananas, and more iron than spinach. They are also rich in dietary fibers and antioxidants. 100g (0.220lb) of chia seeds contains 35.6 grams of Omega-3.